Valentine’s Day is almost here, I hope you have all your cards ready to send or give! 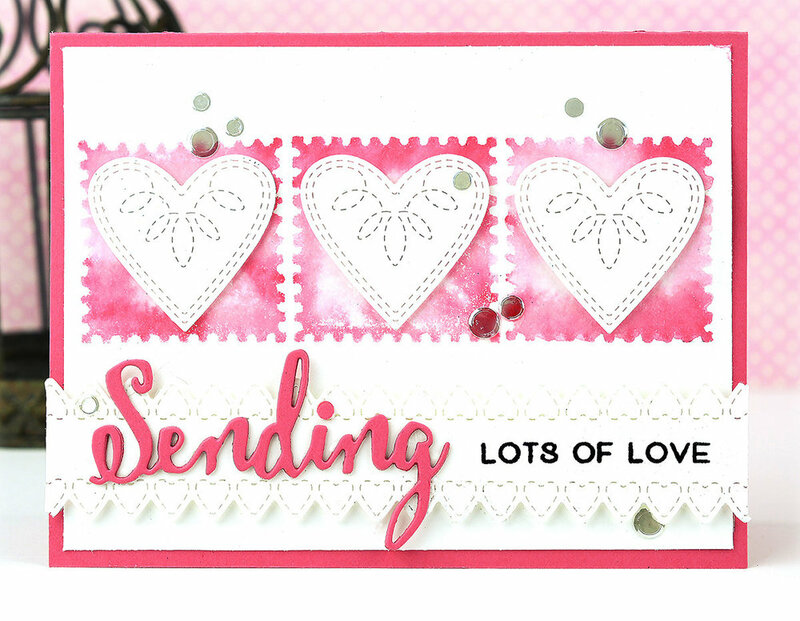 If not here’s a fun card to make using products from Poppystamps latest release! The Petite Stitched Hearts were placed on to a postage stamp image I created using Open Studios Postage Square Layers and craft foam! 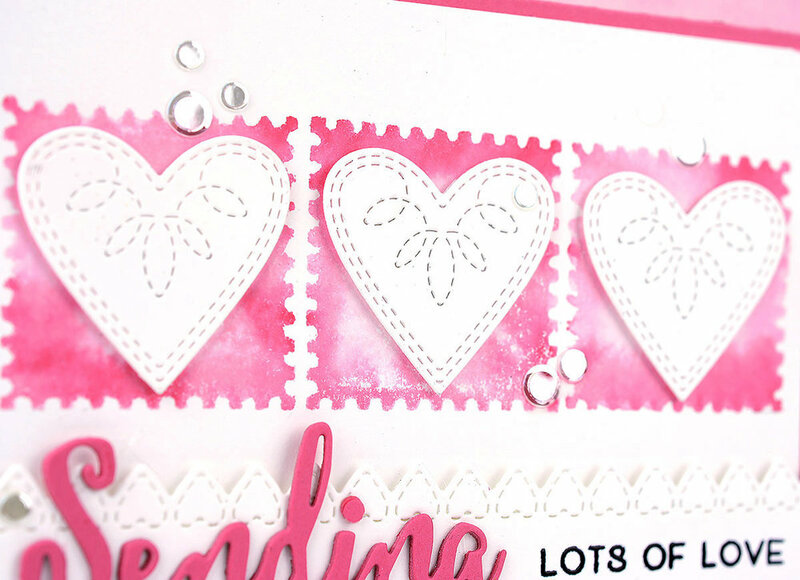 I created a pretty sentiment strip using a Stitched Heart Borders die, added a dimensional Sending Script die cut and a stamped Lots of Love! Here’s a video showing you how to make a simple stamped image from craft foam and almost any die you may have! 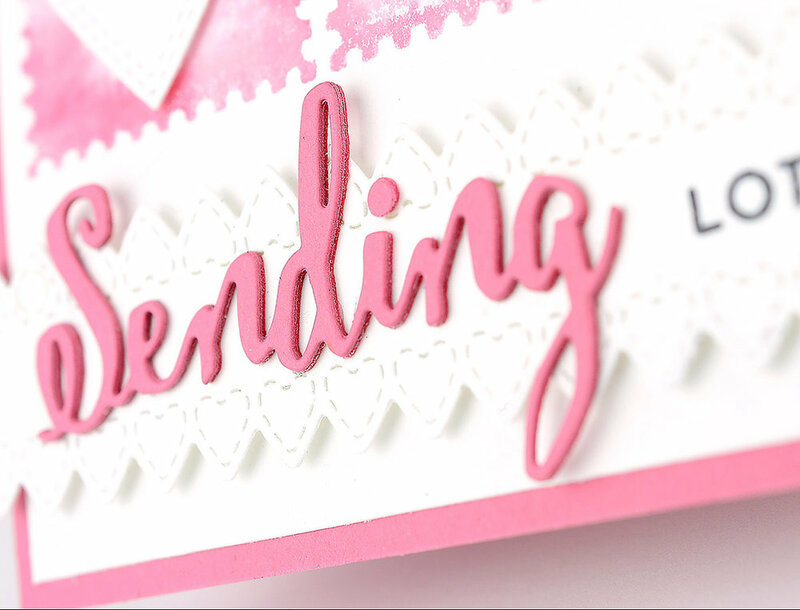 Thanks for stopping by today and be sure to check out Poppystamps Spring Release!!! 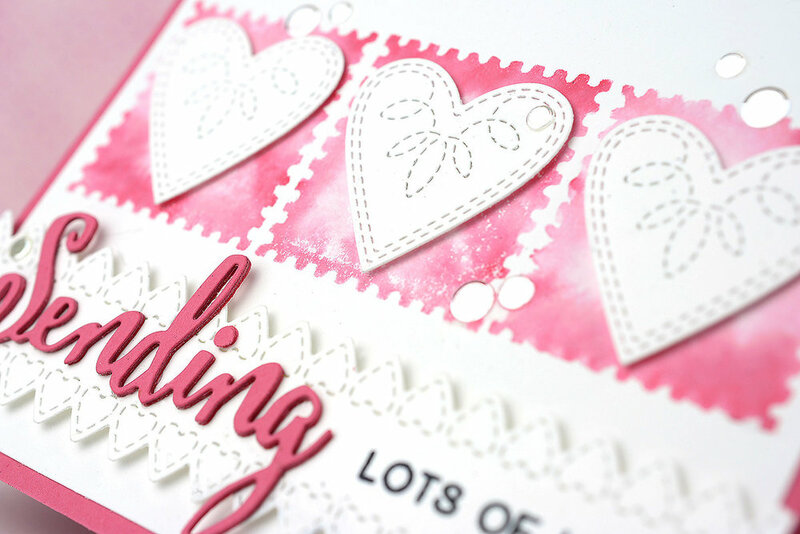 Poppystamps Blog Blitz…Happily Ever After! ODBD Mid-Month Release and Blog Hop!